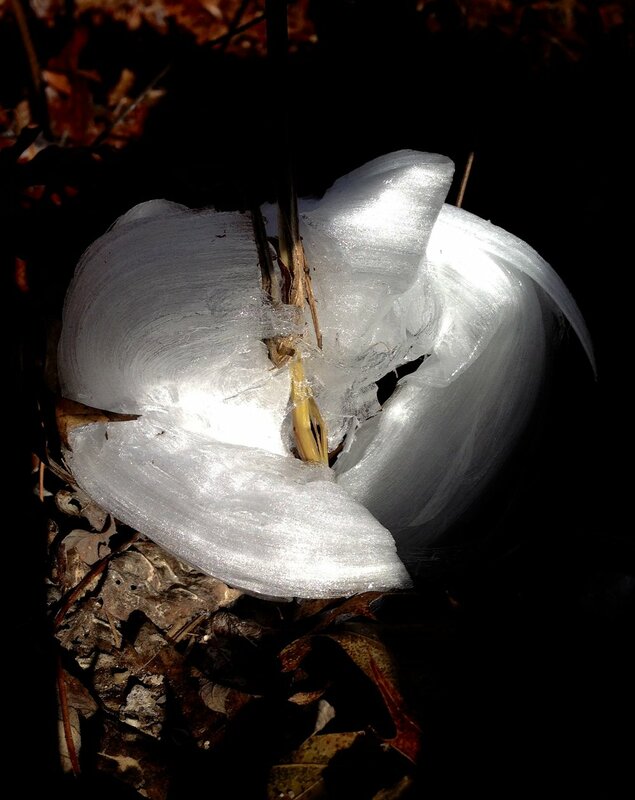 If your out exploring in nature this Fall and early Winter maybe you will be lucky enough to encounter a Frost Flower! Although these sometimes look like a flower from a distance they are not actually flowers at all. 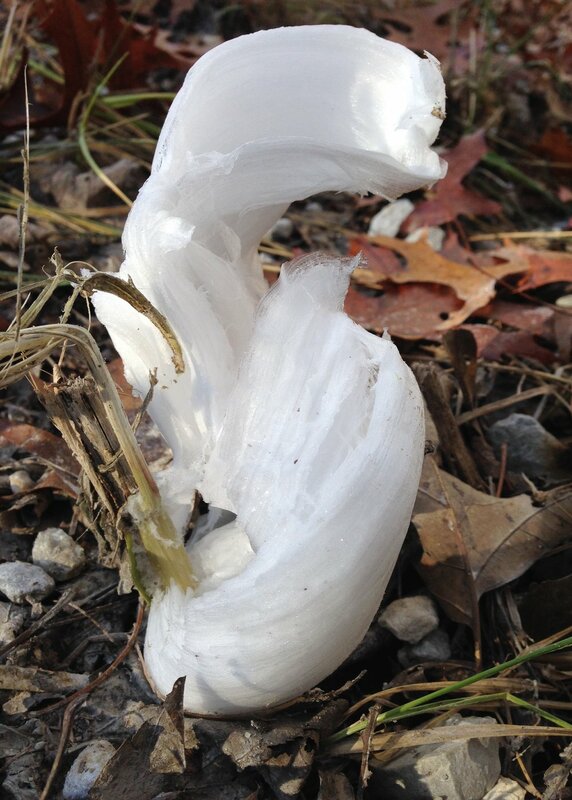 Frost flowers are delicate ribbons of ice crystals that form on the lower stems of some plants. These formations depend on a hard freeze occurring while the ground isn't already frozen. This allows the stem of the plant to draw moisture up from the ground. 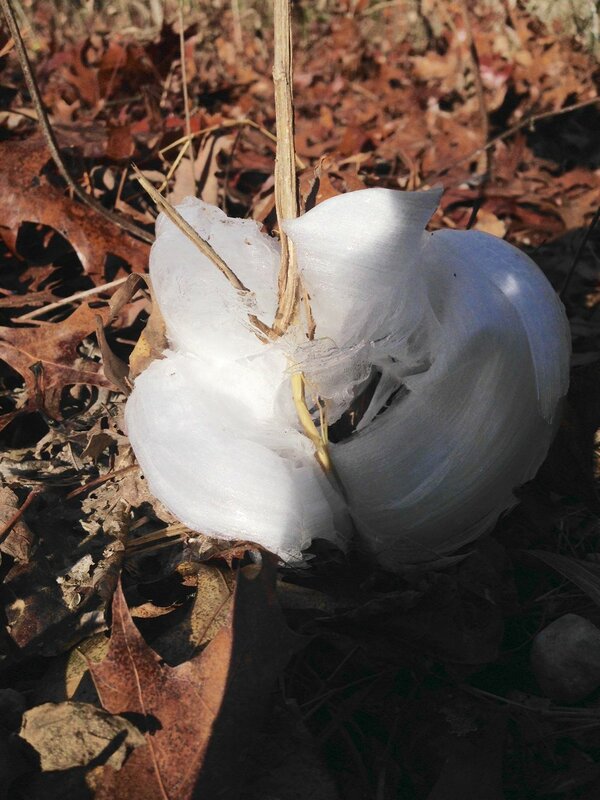 This moisture and sap that's left in the stem of the plant will expand as it freezes and split the stem. This creates thin layers of ice to form into exquisite patterns that curl into almost petal like shapes that resemble a flower. These flower looking ice crystals have a very short life. Once the rays of the sun fall upon them they melt as quickly as frost.